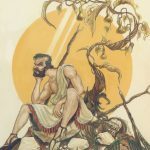 Is God a divine enabler? The book of Jonah says He is, which is why Jonah is so upset. As we see in Jonah 4:8, Jonah wants God to kill him, so that God will also kill the wicked and violent people of Nineveh. But this is not the way of God. God prefers to bless and forgive the people of Nineveh. 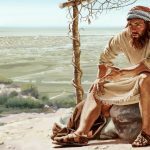 Jonah 4:7 – Is God a God of Love AND Justice? You might have heard someone say that God is a God of love, but He is also a God of justice. It this true? Must God punish people for their sin? Does God punish people for sin? While it is true that God is both merciful and just, both forgiving and just, the question is How? This study of Jonah 4:7 explains more. 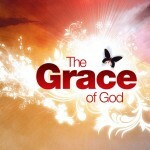 It is not uncommon to hear people say that the grace of God is free, BUT… Those who say this do not know God or His grace. There are no conditions or limits to grace. Grace is free. Period. Grace has no but. 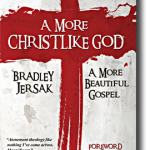 If you struggle with thinking that God is out to get you for your sin, is trying to punish you for something you said or did, or is the puppet master pulling the strings on your life and every other human life in the world, this new book by Brad Jersak is one you must read. In A More Christlike God, we see that Jesus is the complete and perfect revelation of God, showing us exactly what God is like and what God has always been like. God is Christlike! Does God Shame Us at the Judgment Seat of Christ? Some teach that all our sins will be replayed at the Judgment Seat of Christ for all to see. Is this what is taught in 2 Corinthians 5:10? I think not. God does not want to shame us at the Judgment Seat of Christ, but to show us how much He loves us and how proud of us He is. None of us would deny Jesus the incarnation as a man, even though He appeared guilty on the cross. But we want to deny God His incarnation in Israel because it makes God look guilty. God looks guilty in Israelite history in the same way that Jesus looks guilty dying on the cross. Once you have believed in Jesus for eternal life, the possibility of committing the unpardonable sin becomes an impossibility forever. So believe in Jesus today! Is Failure to Believe in Jesus the Unforgivable Sin? Some believe that the unforgivable sin is when you live your whole life without believing in Jesus for eternal life. The idea behind this view is that while God forgives all sin, He cannot forgive a person for refusing to believe in Jesus until they actually believe in Jesus for eternal life. Did Israel commit the unforgivable sin by rejecting Jesus as the Messiah? Some Bible scholars and teachers believe that the unforgivable sin is Israel’s national rejection of Jesus as the Messiah. If this theory is correct, then nobody is able to commit this sin except for the Jewish people living at the time of Jesus Christ. In other words, since we are not Jewish and we are not living at the time of Jesus, we cannot commit this sin. Is Attributing the Works of God to Satan the Unforgivable Sin? One popular view about the unforgivable sin is that it is committed when we call something a work of the devil when it is really a work of the Holy Spirit. According to this view, the Holy Spirit is so offended of having His works confused with those of the devil, He will never allow such a person to be forgiven for this sin. But this is not the unforgivable sin.